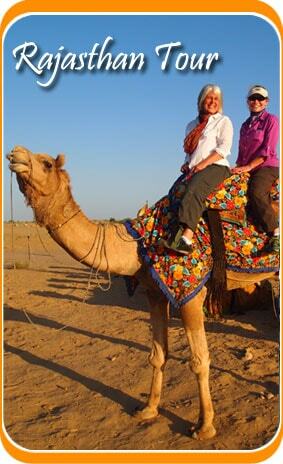 This package introduces you with the Culture and Heritage of Rajasthan in its eloquence and complete grandeur. The Rajputana Culture and Cuisine of the place is sure to mesmerize your senses as you have a look at the forts and palaces of the state of Rajasthan. Have fun and enjoy !! As soon as you reach Delhi, check into the hotel pre-booked for you and stay there for the night. Dine and relax. In the morning we would leave for sightseeing as we visit the Red Fort, Jama Masjid, Rajghat and the Rashtrapati Bhawan. You can also visit the Humayun’s tomb and the Qutub Minar. Return to the hotel and stay for the night. Dine and relax. 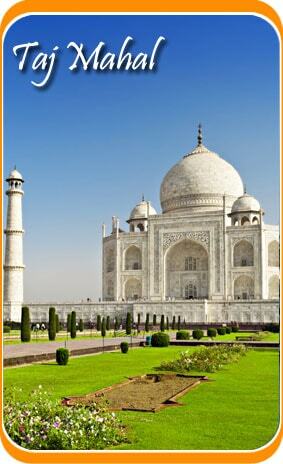 We would today move to Agra and on the way take a halt at Siknadra and visit the Akbar’s tomb. Then again proceed to Agra and upon arrival, check into the hotel for the night and stay there. Dine and relax. In the morning we would visit the Taj Mahal and then visit the Agra Fort, Jehangir Mahal, Moti Masjid, Sheesh Mahal and Meena Bazar. You can also visit the tomb of Itmad-ud-daula. Stay at the hotel for the night. Dine and relax. In the morning we would leave for Jaipur and halt to explore the ruins of Fatehpur Sikri and have a look at Panch Mahal, Buland darwaza and Diwan –e- Khas. Upon arrival at Jaipur, check in to the hotel pre-booked for you. Stay for the night. Go and visit the Amer fort on an elephant and then have a look at the Nahargarh Fort, City palace. Jal Mahal, Hawa Mahal, Jantar mantar and the Birla Temple by the evening. Also go for a light and sound show at Amer Fort. Return to the hotel for the night. Dine and relax. Drive to Pushkar today and then visit the Dargah of Khwaja Sahib at ajmer on the way. Check in to the hotel at Pushkar and after a little rest; visit the Pushkar Lake and the temple lord Brahma here. Return to the hotel and stay for the night. We would drive to Udaipur today and on the way we would halt to visit the Chittorgarh city and visit the Tower of Victory, Rani padmini palace, Man Mahal Palace, Rana Khumba palace, Padmini Palace and meera temple here. Upon arrival at Udaipur, check into the hotel for the night and relax. We would today move to Jodhpur and on the way visit the Ranakpur Jain temples. Have authentic lunch at the Maharani Bagh and then move to Jodhpur. Retire to the hotel and stay for the night. Stay at the hotel for the night. Visit the Clock tower and Mehrangarh Fort, Jaswant Thada, Umaid Bhavan palace and then proceed for a camel safari at the desert and retire to the Manvar campsite. You will have a folk dance performance here. Stay at the hotel for the night. Dine and relax. Explore the vicinity through a jeep safari and visit the villages around the place.Upon arrival check into the hotel and after relaxing go to Amar Sagar and Mool Sagar Lake and temples of Ladawara. Retire to the hotel and stay for the night at Jaisalmer. Dine and relax. After breakfast we will visit the Golden Fort, Jaisalmer Fort, Megh durbar and havelis such as Nathmal ji ki haveli, Patwon ki haveli and Salim Singh ki haveli. You can also go to the Gadisar Lake. Retire to the hotel and stay for the night. Dine and relax. After breakfast we would move to Bikaner and on the way halt at Pokhran to have a look at the Fort of the Pokhran and the Pokhran museum. Retire to the hotel for the night. Dine and relax. After breakfast we would move to visit the Junagarh Fort and then as we proceed to Mandawa we would halt at Deshnok and visit the rat temple. Proceed to move to Mandawa and check into the hotel. Stay at the hotel for the night. Dine and relax. In the morning we would visit the royal havelis such as the Binsidhar Chikhani, Newatia, Gulab Rai Ladai haveli and then drive to Delhi. Check into the hotel and stay for the night.